Last week, we joined community development organizations, advocates and allies across the nation in celebrating Infrastructure Week. It has been estimated that $3.6 trillion must be invested by 2020 to maintain America’s housing and infrastructure, which includes everything from transit systems to parks and schools to local water and energy systems. These investments will have a significant impact on how American’s live, work and travel, as well as their economic and health outcomes. LIIF is exploring new innovations and ideas to ensure that everyone benefits from how our cities and regions are built over the next decade and beyond. Social determinants – such as economic stability, the physical environment and social support systems – play a larger role in determining a person’s health outcomes than his or her genes or biology. This has led to both healthcare organizations and community developers rethinking how to improve health and economic outcomes for the nation’s most vulnerable populations. Many in the health field recognize safe, quality, affordable housing, in particular, as critical to the needs of their patients, but they are not sure how to support the expansion of access and supply of housing. Similarly, many housing developers see the potential value of housing vulnerable populations, but aren’t sure how to structure a partnership with the relevant health agencies. 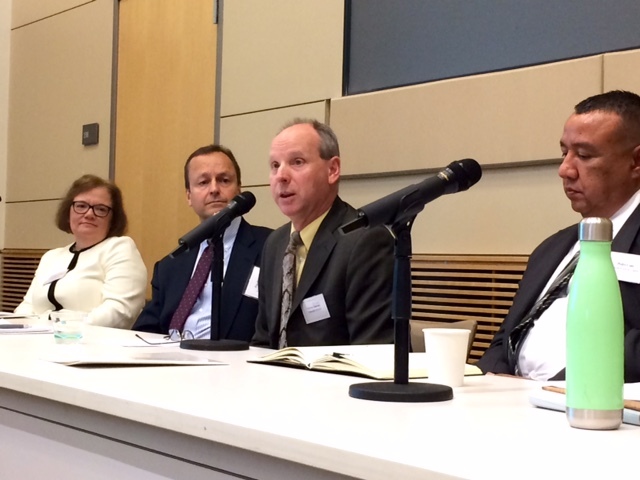 At the Innovations in Health & Housing Convening held last month in Los Angeles, health, housing, finance and policy experts gathered to discuss ways in which the health and housing sectors can collaborate on creative solutions to tackle current obstacles and promote community health. 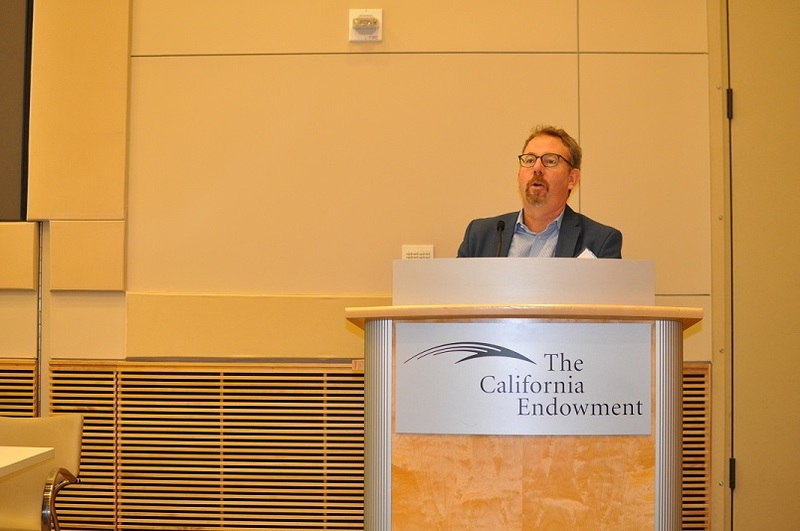 The convening was co-hosted by The California Endowment, The Kresge Foundation, Mercy Housing, and the Low Income Investment Fund. Doug Shoemaker of Mercy Housing welcomes guests at the Innovations in Health & Housing Convening. In his opening remarks, Dan DeLeon of The California Endowment noted that the Endowment is “excited about breaking down siloes, working at the intersection between health and housing.” The convening included participation from health agencies, such as Pablo Bravo of Dignity Health and Maya Altman from the Health Plan of San Mateo, who discussed the forces motivating health organizations to invest in service-enriched housing, as well as the challenges they faced. Also represented were partnerships between housing developers and Medicaid managed care plans, such as Pedro Cons from Chicanos Por La Causa (CPLC) and Steven Henry of United HealthCare. United HealthCare partnered with CPLC to create the Maryvale Community Services Center, a community resource in Phoenix, Arizona that provides social services as well as medical and behavioral health services. As a result of the successful partnership, United HealthCare provided financing for CPLC to acquire and renovate nearly 500 rental apartments, on the theory that providing stable, service-enriched housing to at-risk populations would promote community health in tandem with more typical clinical services. In addition, small group breakout sessions covered topics such as federal policy, community benefits, managed care investors and Pay for Success – an approach that strives to achieve measurable outcomes. A final panel moderated by David Erickson of the Federal Reserve Bank of San Francisco, which included Nancy O. Andrews of the Low Income Investment Fund, Kimberlee Cornett of The Kresge Foundation and Dr. Mark Ghaly of the Los Angeles Department of Health Services, addressed the future of inter-sector collaborations. The Innovations in Health & Housing Convening was an outgrowth of a partnership between Mercy Housing and the Low Income Investment Fund to explore new avenues to support the connection between the health and housing fields. The organizations will release a report exploring some of the most promising strategies this summer. The report aims to bridge the knowledge gap between the affordable housing and healthcare fields by profiling case studies where the health and affordable housing sectors worked collaboratively to expand housing opportunities targeting individuals whose health conditions would significantly improve from service-enriched affordable housing. To be notified about the report’s release, sign up to receive Just.Good.Capital newsletters.